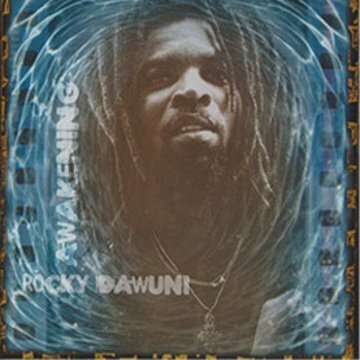 Rocky released his third album “ wakening” in Ghana in 2001. “ wakening” continued his quest for political and spiritual enlightenment. Rocky saw “Awakening” as an urgent medium to initiate the consciousness of African unity in the spirit of the first President of Ghana, Dr. Kwame Nkrumah. “ wakening” received rave reviews from West Africa Magazine, Billboard, Voice of America and the BBC. “I’ll Try,” the first single from the album recently won “Best Reggae Song” at the third annual Ghana Music Awards 2002. “I’ll Try” has a stunning 35mm music video, the first ever on this format in Ghana, which was shot in the California desert.